My name is Ashley Spicer and I have Spina Bifida. When I was sitting through my last few Individual Education Planning meetings during my senior year at Vermilion High School we were all talking about my next steps after high school. Now, with me being the high functioning and stubborn person I am, I would always say I wanted to go straight to college just like everyone else. I was dead set on that. Eventually, I was introduced to a program called Project SEARCH, which is a workplace immersion high school-to-work transition program. I’m going to be completely honest, I wasn’t too thrilled with the idea at first because when my school counselor brought it up to me they said it was at a hospital and my first thought was, “Oh great, I’ve already spent about 17-18 years of my life in and out of the hospital, why on earth would I want to work in one too?” But then I was told last minute there was a Project SEARCH opportunity at Lorain County Community College. That’s what sparked my interest and got me involved with Project SEARCH and UCP. From there I started my three internships at the college and ended up getting my very first job in April that year at Pat O’ Brien Chevrolet. I was a clerical assistant which consisted of making the customer satisfaction calls, scanning the paperwork into the computer which, for the most part I actually really enjoyed, and any other small tasks they needed to have done. It was only for 3 hours for 2 days a week, but it was something. I mean, does anybody completely enjoy the first job they started out with? I wouldn’t think so. I was just excited enough that they gave me a chance and I rolled with it. I wouldn’t have had that opportunity if it wasn’t for Greg Zaryk, my job developer at UCP, and all of his connections. Fast forward and 8 months later, I was laid off. I would be lying if I didn’t say I was completely devastated. Right when I found out, I started applying for jobs left and right, but I also contacted Greg again because deep down inside I knew it wouldn’t matter to some people what I did or said, they still wanted to hear it from somebody able-bodied. Kind of funny, right? I could be qualified and still possibly not be hired just because of my appearance. Some companies just simply don’t want to make the necessary accommodations for people like myself to work and yet they are the ones who are wondering where the “highly qualified” or “hard working” employees are. If they would be willing to give people like me a chance to prove myself, they would find that it could really be beneficial to their business. Let’s fast forward to another 8 months and that’s when I got a job at the Vermilion and Avon YMCAs, where I’m proud to say I’m currently working and have been for a little over a year now. Looking back at all the job hunting I did, even the little bit by myself, I found it extremely hard to do it all by myself as someone with a disability, and I cannot thank Greg and the rest of the UCP team enough for all of the hard work they put in each and every day to help people like me reach our goals. I probably would have never been able to succeed if it wasn’t for him. 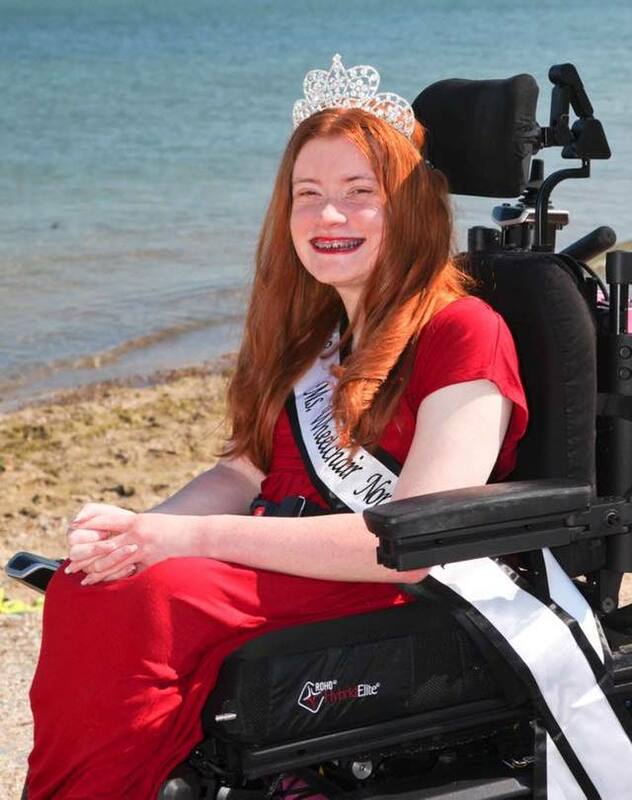 Ashley, you are such an inspiration, not only to other people facing the huge challenges that you have, but to ANYONE willing to make the effort! You & your Mom and sister should b so full of pride for all you have accomplished together (I don’t think any of us can face and overcome the challenges God gives us alone). I have always been proud to be a part of your family & often when I start to feel overwhelmed or like I can’t do something, I see the things you post and am reminded how much God has done and is STILL doing in all of our lives! Keep that positive, can do attitude and you will find more & more ways to support & challenge everyone around you! I have known since u were a baby the challenges you would face, and Girl, you faced them with dignity, pride & a never give up attitude!